Canning season started and the Family and Consumer Agents from Extension are setting classes to encourage people to follow some basic safety guidelines. The first of these is to use recipes and processes that have been scientifically tested. The So Easy to Preserve book is the basic resource for canning, freezing and dehydrating, and has the added convenience of having a strong index. You can start there to determine which possible methods exist for a given item: If it is listed, there is a recommendation, but if it isn’t listed, that option does not have a tested recipe or procedure. There are number of sources for canning information that really cannot be relied upon, including: Websites, Blogs, Many current books, and Celebrity chefs. You definitely want to avoid using old recipes, even those in recently re-published old cookbooks, because canning recommendations have changed over the years, and are subject to significant updates when new science determines that safety is at stake. Because of this, it’s important to be careful about taking advice from other home canners, especially those that canned many years ago or were exposed to canning at a young age, because they may have learned an older forms of canning—open kettle, steam canning, turning the jars upside down, etc.—and never updated their knowledge of the subject. Just because “No one ever died” from those methods does not mean that they are smart to use, or that no one ever will. Now that you’ve chosen a recipe from the So Easy to Preserve, it is very important to take a few more steps to ensure the safety of your end product. You must follow recipes and procedures carefully. If the directions say to peel and chop, you must peel and chop. If it says to process 30 minutes for pint jars, then you must use pint jars and process for thirty minutes. Canning, especially, is not a spot where we get to have our culinary genius shine through. It’s important for your safety that you do not deviate from the recipe for what goes into the jar or skip steps in the process. Later, when you take the jar out of the pantry and include it as part of meal, you can use it creatively then. The ingredients you use for any food preservation method need to be the best quality, ripe but not overripe, and never picked up from the ground. Food preservation methods won’t make bad food better and food already on its way to spoiling has a greater likelihood of spoiling once preserved. As with all kitchen activities, cleanliness is important. Thoroughly clean any produce and containers that will be used, and work in a clean work area with clean hands and utensils. Canning is an important and enjoyable way to preserve food. And it is very safe if it is done correctly. 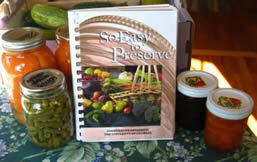 To read more about safety canning and preserving visit The National Center for Home Food Preservation web site http://nchfp.uga.edu/ You will find information about the So Easy to Preserve book, webinars, recipes, and self-studies. Preparar y comer comidas en casa es un paso importante para comer saludable. Usted puede preparar comidas saludables, fáciles y rápidas en casa. Tan solo recuerde estos simples pasos: Planear, comprar, preparar y comer. Mantenga una lista de las comidas favoritas de su familia. Separe 30 minutos para planear para la siguiente semana. Haga una lista de los platos principales y de los acompañantes que servirá cada día de la semana. Seleccione recetas con pocos ingredientes y que necesiten solo técnicas de cocina rápidas. Pegue el menú en la nevera donde todos lo puedan ver. Escuche los comentarios de su familia sobre el menú y use la lista de los platos favoritos de su familia incluyendo los platos principales, las ensaladas, los vegetales, las frutas y los postres. Busque ideas de platos principales y de acompañantes rápidos y saludables en libros de cocina, periódicos, sitios de internet, o revistas y agréguelos a su lista. Mantenga estas recetas en fólderes o en cajas. Compre con regularidad una vez a la semana o al mes, asi ahorra dinero, tiempo y gasolina. Compre frutas y vegetales en estación porque es más barato y sabe mejor. Visite su farmer’s market más cercano y ahorre dinero al comprar calidad. Compre solo lo de su lista asi no gasta demás y no olvida los ingredientes para las recetas de su menú. No compre con hambre. Consuma un snack o una de sus comidas antes de mercar. Los chicos puede ayudar, déjelos escoger una fruta o un vegetal Nuevo o algo que en realidad les guste mucho. Sea estricto con su plan. Lave y prepare sus frutas y vegetales con anticipación. Prepare demás del plato principal para otra comida. Agregue una fruta o vegetal favorito en lata o congelado. Revise su plan de comidas todas las tarde y saque su comida congelada al refrigerador la noche anterior para que se descongele de manera segura para la siguiente cena. Involucre a los chicos, es divertido para todos. Los ninos van a probar nuevas cosas si ayudan en la cocina. Recuerde la seguridad en la comida haciéndolos lavar sus manos en la cocina con frecuencia. Comer juntos: Hágalo una prioridad, es una gran oportunidad para compartir en familia. Los chicos comen más despacio que los adultos, así que tome su tiempo durante las comidas y disfrute de unos minutos demás sentados en la mesa antes de limpiar. Apague la televisión, la radio, el teléfono, para que todos disfruten de la conversación sin distracciones. Deje que las personas dejen mensaje o apague el sonido de su teléfono para evitar las distracciones. Compartan los eventos del día preguntándole a cada persona sobre una actividad divertida o algo bueno que haya ocurrido durante el día. Es un rato agradable para saber sobre eventos especiales de la escuela o sobre los logros de los chicos. Haga elecciones saludables: Es más fácil cuando se preparan las comidas en casa y la familia se sienta en la mesa a compartir la comida. Es una buena oportunidad para hablar y servir de modelo sobre comer saludable, los tamaños de las porciones, y probar nuevos alimentos. Para recetas fáciles y saludables contacte su oficina de Extensión más cercana. At the beginning of the year we usually schedule lots of classes with different community groups. Many of the participants expect that we talk to them about the usual New Year’s resolutions. As always, the two top resolutions tend to be related to our eating and exercise habits. On a recent search about healthy eating I came across an article published by the University of Georgia’s Health Center. 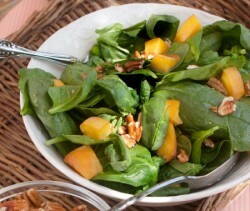 They provided a list of factors that contributes to a balance or an “out of balance” diet. Before I share this valuable insight, I would like to clarify that diet is not use on this article as a word to describe the regimen we initiate to either lose weight or manage a chronic disease condition. Diet is referring to the kinds of food we eat on a regular basis. 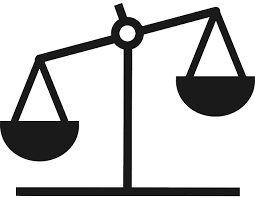 To have a balance diet we need to concentrate on six main contributors: Consistency, Conscious and Thoughtful eating, Health, Variety, Pleasure and Taste, and our social environment. These six elements will help us establish good and sound habits that will benefit us by: encouraging us to have three balanced meals or several small ones with snacks daily, eat when we feel hunger signals and stop when they disappear and chose to eat foods that can provide good and necessary nutrients, while enjoying those choices with those who are important in our lives. For more information about healthy eating you can contact your local UGA Extension office or our office in DeKalb404-298-4080 or in Gwinnett 678-377-4010. Let’s keep the balance! The United States is facing an obesity epidemic. In Georgia alone, 70% of adults, and 40% of children are obese. In general, obese people die 20 years earlier than those who are not. The messages have been everywhere, establishing that we all need to begin taking better care of ourselves and our loved ones. Sometimes, it may feel like this epidemic is refusing to loosen its grip on our society. Recently Danielle Comer, a student intern from Georgia Southern University, working at our Extension office in DeKalb County attended a conference with the Department of Human Development and Family Sciences, at The University of Georgia. The conference entitled “Family and Community as Pathways for Health: Obesity Prevention and Intervention Strategies”, allowed several well renown speakers to present the most recent approaches to tackle the obesity problem. Dr. Jerry Gale, a professor in the Department of Human Development and Family Sciences, desired for the conference to encourage people to take immediate action. Danielle reported back to us with great enthusiasm about her experiences at the conference. A summary of the presentations include the emphasis speakers made about the importance of good nutrition and physical activity as ways to fight obesity. If you have children, it is a great idea to involve them in meal planning by giving them several options. 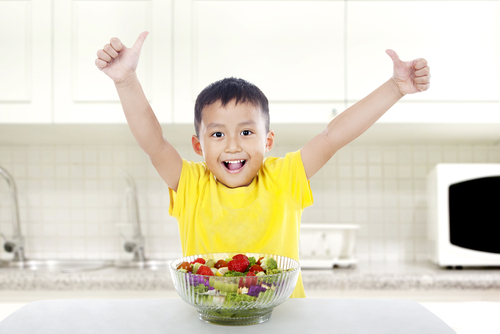 When parents buy healthy options they can give the children healthy options to choose from. They will not need to worry about the whole process and the children still have a say in what the family will eat; and the parents know that it will be nutritious. Using the “choosemyplate.gov” website can help with finding healthy selections and portions. Later in the conference, Dr. Diane Bale, a professor of Human Development, Extension specialist in early childhood care and education, and co-creator of the Eat Healthy, Be Active initiative, spoke about activity and staying active, with a focus on children. She reminded the audience that children are naturally active and should be encouraged to stay active, in order to prevent obesity. Being active does not necessarily mean “exercising.” She admits that sometimes when children are told to exercise they do not always seem to be engaged and view exercise as a chore. Instead, she recommends playing in ways that keep children moving. Activity can and should be made fun, to avoid discouragement and negative mindsets about movement. So let’s take action! Eat right, Move and Play.